Choose from 31 hotels and guest houses in Conwy. Shown below a just a selection of the hotels available. To search within an area please use the menu on the right. The Clovelly - The Clovelly, located in the picturesque Victorian town of Llandudno North Wales. Situated a short walk from the High Street, Promenade, theatre & conference center.Ideal base for touring the many wonderful attractions and sites in North Wales, including Snowdonia Naational Park. Ffarm Country House - This Grade II listed building dates back to 1706 and is located in the beautiful village of Betws yn Rhos. Ffarm Country House is set in set in 2 acres of grounds and is ideal for all types of stay. All rooms have a flat-screen TV, a DVD player, robes, slippers and an en suite bathroom. There is a village pub 4 minutes' walk away, and walking, golf, shooting, fishing, climbing, tennis, dry-slope skiing and sailing can be enjoyed in the local area. There are also castles and historic houses to explore. Burleigh Guest House - A friendly welcome awaits you at the 4-star Burleigh Guest House, which is in the centre of Llandudno, a 2-minute walk from the North Pier and beach. Free wireless internet available. All rooms are fresh, clean and well decorated with a modern feel. Room facilities include a free hospitality tray, bottled water, toiletries and DVD players. The Burleigh Guest House is overlooked by the rocky headland of the Great Orme. Bars, restaurants, shops and the theatre are within easy reach. This non-smoking guest house does not accept children under the age of 12. The Carmen - Located on level ground, just 100 metres from the town's seafront promenade, in the quiet, leafy suburbs of Llandudno, this charming 4-star guest house offers ample, unrestricted free parking. Fully refurbished in 2007, the Carmen has 7 attractive rooms, all with luxury en suite bathrooms, hairdryers and tea/coffee making facilities. Each room has a flat-screen LCD TV with Freeview digital channels. There is an open-plan lounge for guests' use, with a separate well-stocked bar, which offers you the opportunity to enjoy a drink and relax after an evening stroll, without the hassle of having to go into the town. The many varied shops and restaurants of the busy town are less than 10 minutes' walk away. Buses to all destinations operate every 10 minutes from the request stop just across the road. A generous full cooked breakfast is included in the price and features fresh locally sourced produce from the region. Bryn Holcombe Non Smoking - Ideal for touring Snowdonia National Park, this friendly accommodation offers a warm welcome, comfy en suite rooms and a tasty, hot Welsh breakfast. Bryn Holcombe offers double and twin rooms, all tastefully decorated and furnished to a high standard. From the establishment you can embark on beautiful country and coastal walks close to Colwyn Bay and around the hills, valleys, lakes and mountains of Snowdonia. 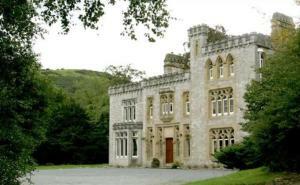 Close by are the world heritage sites of Conwy Castle and the medieval walled town; Plas Mawr the Elizabethan manor house; the world famous Bodnant Gardens; Llandudno and the Great Orme Nature Reserve; and the Welsh Mountain Zoo. Explore miles of sandy beaches and golf courses, try horse riding and explore many more attractions. The hotel is just minutes away from the main coastal bus route. Buxton House - Buxton House B&B is a renovated Victorian house in the quiet avenues of Craig-y-Don, only 2 minutes' walk from Llandudno's promenade. 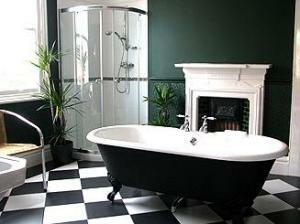 The warm and friendly B&B offers en suite accommodation and a relaxing stay. Each room has an LCD TV and some little extras. Full English breakfast is included in the room rate and is served in the sunny dining room. The Sunnyside - The Sunnyside has been recently refurbished and is a family-run establishment in a superb location near the Great Orme in Llandudno. Set just off a well-preserved Victorian promenade, comfortably decorated en suite rooms offer the added convenience of TVs and tea/coffee making facilities. An inviting restaurant (to seat 45) is on hand, complimented by a well-stocked bar/lounge. The Sunnyside is situated just 5 minutes' walk from Llandudno pier and promenade, and just 10 minutes' walk from the Llandudno Ski Centre and West Shore. Please note that the Sunnyside operates a completely non-smoking policy. Sefton Court - The Sefton Court is a handsome building Set in it's own garden with large private car park. We enjoy splended views of LLandudno the sea, and mountains of Snowdonia. This Victorian detached building has spacious rooms with fine features including original stained glass windows and wedgewood ceilings and our spacious dinning room overlooks the garden. The well appointed bedrooms most with views of LLandudno. 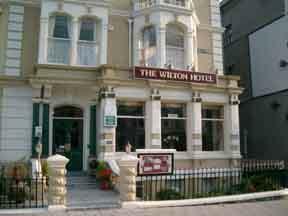 The Wilton - Located in the very heart of Llandudno, just 1 minute from the shops, beach and variety of bars and restaurants. The Wilton is perfectly situated to explore the town, its unique pier and Great Orme with its tram and cabin lift ride. We offer quality at affordable prices. We have a variety of rooms, catering for the individual or the larger family. All rooms are en- suite, have colour TV's, tea/coffee making facilities, hairdryers and clock radios. Some rooms have four poster beds and dvd players. Promenad BandB - Located on the sea front in Llandudno North Wales, this family-run guest house is set within an elegant 5-storey Victorian building which boasts wonderful sea and mountain views. Situated on Llandudnos North Shore, the houses central position enables you to easily access all that this popular seaside resort has to offer. Just a short stroll away you can find the towns shops, pier and Venue Cymru Theatre and Conference Centre. After a long day exploring the areas beautiful coastline, you can return to the comfort of the guest house and relax in the ground-floor lounge, which features a digital television, DVD player and games console, with a good selection of games, DVDs and books. The Promen?d B&B also has complimentary high-speed Wi-Fi access.